William Bruce Hale (August 30, 1918 – December 30, 1980) was an American professional basketball player and coach. A 6'1" guard/forward from Medford, Oregon, Hale played college basketball at Santa Clara University, then played professionally in the early NBA as a member of the Indianapolis Jets, Fort Wayne Pistons, and Indianapolis Olympians. He averaged 9.1 points per game over his NBA career. He later held coaching positions with the University of Miami, the Oakland Oaks of the American Basketball Association, and St. Mary's College of California. Before he died of a heart attack in 1980, he had been working as a marketing director at the KNBR radio station. Hale's daughter, Pam, married basketball player Rick Barry, who played for Hale at the University of Miami. Hale was inducted into the University of Miami Sports Hall of Fame in 1986. ^ Bruce Hale playing statistics. basketball-reference.com. Retrieved on August 23, 2009. ^ "Former basketball coach dies". The Ledger. January 2, 1981. Retrieved on August 23, 2009. ^ Frank Deford. "Razor-cut Idol Of San Francisco". Sports Illustrated. February 13, 1967. Retrieved on August 23, 2009. ^ University of Miami Sports Hall of Fame inductees Archived 2010-11-19 at the Wayback Machine. Retrieved on February 1, 2010. The consensus 1941 College Basketball All-American team, as determined by aggregating the results of four major All-American teams. To earn "consensus" status, a player must win honors from a majority of the following teams: the Helms Athletic Foundation, Converse, and Madison Square Garden. The 1948–49 BAA season was the Pistons' first season in the NBA/BAA and eighth season as a franchise.. Despite their NBL success which included four championship series births and two titles the team wasn't able to translate that success to the new league and missed the playoffs for the first time in team history. The 1948–49 BAA season was the Jets' 1st and only season in the NBA/BAA and 8th and final season as a franchise. After the season, the NBL would merge with the BAA to form the NBA. As a result, the Jets ceased operations and were subsequently replaced by the Indianapolis Olympians. The 1949–50 NBA season was the first season for the Indianapolis Olympians in the National Basketball Association (NBA). The 1960 NCAA University Division Basketball Tournament involved 25 schools playing in single-elimination play to determine the national champion of men's NCAA Division I college basketball in the United States. It began on March 7, 1960, and ended with the championship game on March 19 in Daly City, California (immediately south of San Francisco). A total of 29 games were played, including a third place game in each region and a national third place game. Ohio State, coached by Fred Taylor, won the national title with a 75–55 victory in the final game over California, coached by Pete Newell. Jerry Lucas of Ohio State was named the tournament's Most Outstanding Player. Alexander Murray Hannum (July 19, 1923 – January 18, 2002) was a professional basketball player and coach. Hannum coached two National Basketball Association (NBA) teams and one American Basketball Association (ABA) team to championships. In 1998 Hannum was inducted into the Naismith Memorial Basketball Hall of Fame as a coach. Drew William Barry (born February 17, 1973) is an American retired professional basketball player. He is the son of Basketball Hall of Famer Rick Barry and has four brothers: Scooter, Jon, Canyon and Brent, who also share his profession. His grandfather Bruce Hale also played in the NBA and was Rick's college coach at Miami of Florida. His stepmother is Lynn Barry. Born in Oakland, California, Barry graduated from De La Salle High School in Concord in 1991 and played four seasons with the Yellow Jackets basketball team at the Georgia Institute of Technology (Georgia Tech) after redshirting his freshman year. The all-time assists leader of Georgia Tech, Barry played briefly for the Fort Wayne Fury in the CBA and in the NBA for the Atlanta Hawks, Seattle SuperSonics, and Golden State Warriors. Prior to being signed by the Hawks on March 27, 2000, Barry played eight games with the Sydney Kings during the 1999–2000 Australian NBL season. In his eight games for the Kings, Barry averaged 7.6 points, 6.3 assists, 4.0 rebounds and 1 steal per game. His best game was on November 13, 2000 in a 99-86 loss against the Cairns Taipans where he scored 20 points, 9 assists, 8 rebounds, 1 steal and 1 block. He also played professionally in Poland. The Indianapolis Jets were a Basketball Association of America team based in Indianapolis. The team lasted for one season and was later replaced by a new franchise. This is a list of all personnel changes for the 1948 BAA off-season and 1948–49 BAA season. The following is a list of players of the now-defunct Indianapolis Olympians professional basketball team. The Miami Hurricanes men's basketball represent the University of Miami in the Atlantic Coast Conference in Division I of the NCAA. They have played their home games at the BankUnited Center since 2003. The program's first squad played in 1926. From 1971 through 1985, the men's basketball program was suspended due to lack of adequate funding. The program reached has reached the NCAA Tournament seven times, most recently in 2013. Overall, there have been 12 head coaches for the Miami Hurricanes, five since the revival of the program in 1985 with Bill Foster. Bruce Hale, who led the Hurricanes to its first NCAA Tournament appearance in 1960, is the school's all-time leader in games coached and wins. Leonard Hamilton was named UPI National Coach of the Year in 1995. Jim Larrañaga is the current coach of the Hurricanes and was named the AP Coach of the Year in 2013. A player-coach is a member of team who simultaneously holds both playing and coaching duties. The term can be used to refer to both players who serve as head coaches or as assistant coaches. In the National Basketball Association (NBA), there have been 40 players who also served as their teams' head coaches at the same time. The NBA was founded in 1946 as the Basketball Association of America (BAA). The league adopted its current name at the start of the 1949–50 season when it merged with the National Basketball League (NBL). After the salary cap was instituted in 1984–85 season, the NBA has prohibited teams from employing a player-coach. The ruling was established to avoid the possibility that a team would circumvent the cap by signing a player as a player-coach, as coaches' salaries are not counted under the cap.Ed Sadowski was the first player-coach in the league. In the BAA's inaugural season, he played for the Toronto Huskies and also served as the team's first head coach. Buddy Jeannette was the first player-coach to win the championship; he won the 1948 BAA Finals with the Baltimore Bullets. Bill Russell is the only other player-coach who has won the championship, as well as the only player-coach to win multiple championships. In 1966, he took over the Boston Celtics' head coaching duties from Red Auerbach, becoming the first African American head coach in the league. He served as the Celtics' player-coach for three seasons, winning two consecutive NBA championships in 1968 and 1969. Dave DeBusschere became the youngest head coach in the league's history when he was appointed as the Detroit Pistons' player-coach at the age of 24 in 1964. 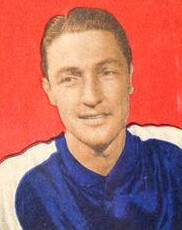 He held the position for three seasons before returning to a full-time player in 1967. Dave Cowens is the last player-coach in the league. He coached the Celtics in the 1978–79 season before relinquishing his coaching duty to focus on his playing career.Richie Guerin had coached 372 games as a player-coach, the most among the other player-coaches. He was the player-coach of the St. Louis / Atlanta Hawks for five seasons, from 1964 to 1967 and from 1968 to 1970. Before the 1967–68 season, he retired from playing to become a full-time head coach. However, he came back from retirement to play in the following two seasons while still serving as the Hawks' head coach. Lenny Wilkens, who is in second place for highest number of games as a player-coach, was the only player-coach who has been employed by more than one team. He spent three seasons as the Seattle SuperSonics' player-coach and one season as the Portland Trail Blazers' player-coach. He is the only player-coach who has been inducted to the Naismith Memorial Basketball Hall of Fame as both a player and a coach. Other than Wilkens, twelve player-coaches have been inducted as players while two player-coaches have been inducted as coaches. The Coach of the Year Award was never won by a player-coach. Wilkens went on to become the longest-tenured head coach in the league. In addition to 4 seasons as a player-coach, he spent another 28 seasons as a head coach, winning an NBA championship in 1979. San Francisco Warriors player-coach Al Attles retired from playing duty in 1971, but continued to coach the Warriors for another 12 seasons, leading them to an NBA championship in 1975. Alex Hannum, Red Holzman and Kevin Loughery, who served as player-coaches for less than a season, had a lengthy coaching career in the NBA which lasted more than 10 seasons. Hannum spent 11 seasons as a full-time head coach, winning two NBA championships with two different teams. Holzman coached the Hawks for 4 seasons, including a season as a player-coach, and the New York Knicks for 14 seasons. He led the latter to two NBA championships. Loughery served as the head coach for six NBA teams during his 18-year coaching career, including a year as a player-coach. Wilkens and Holzman were named among the Top 10 Coaches in NBA History announced at the league's 50th anniversary in 1996. Wilkens, along with Bob Cousy, Dave Cowens, Dave DeBusschere, Bob Pettit, Bill Russell and Dolph Schayes, were named to the list of the 50 Greatest Players in NBA History, which was also announced at the league's 50th anniversary. The Miami Hurricanes men's basketball team represents the University of Miami in the Atlantic Coast Conference (ACC). The team began play in 1926, but was dropped by the University of Miami in 1971. In 1985, fourteen years later, the Hurricanes resumed play and joined the Big East Conference in 1991, winning the Big East regular season title in 2000. In 2004, in conjunction with the rest of the Miami athletic program, the team moved to the ACC. In 2012–2013, the team won its first regular season ACC championship as well as its first ACC tournament championship. The team has reached the NCAA Championship's "Sweet 16" three times (1999–2000, 2012–2013, and 2015–2016). In the 2014–2015 season, they reached the final of the National Invitation Tournament (NIT). The Hurricanes are coached by Jim Larrañaga and play their home games at the Watsco Center. Edward Patrick "Slip" Madigan (November 18, 1896 – October 10, 1966) was an American football player and coach of football, basketball, and baseball. He served as the head coach at Saint Mary's College of California from 1921 to 1939 and at the University of Iowa from 1943 to 1944, compiling a career college football record of 119–58–13. Madigan was also the head basketball coach at Saint Mary's from 1921 to 1927 and the head baseball coach at the school from 1926 to 1930. He played football at the University of Notre Dame as a center. Madigan was inducted into the College Football Hall of Fame as a coach in 1974. Thomas E. McCann (November 7, 1898 – March 23, 1975) was a baseball player and coach of American football and basketball. He served as the head football coach at Tusculum College in 1924 and at the University of Miami from 1931 to 1934. McCann was also the head basketball coach at Miami during the 1928–29 and 1931–32 seasons. In 1929, he was coaching football at Plant City High School in Plant City, Florida. McCann played college baseball at the University of Illinois at Urbana–Champaign in 1921 and 1922. Vince McNally (December 5, 1902 – December 4, 1997) was an American football executive who served as the general manager of the Philadelphia Eagles from 1949 to 1964.He died on December 4, 1997, in Berwyn, Pennsylvania at age 94.